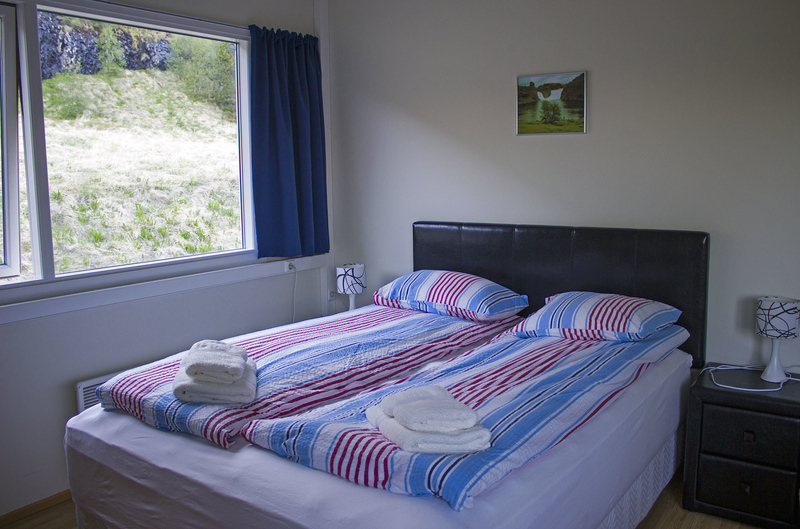 A lovely accommodation near sheep farms, with sweeping mountain views. Once again, we underestimated the time it took to drive from one place to the next. 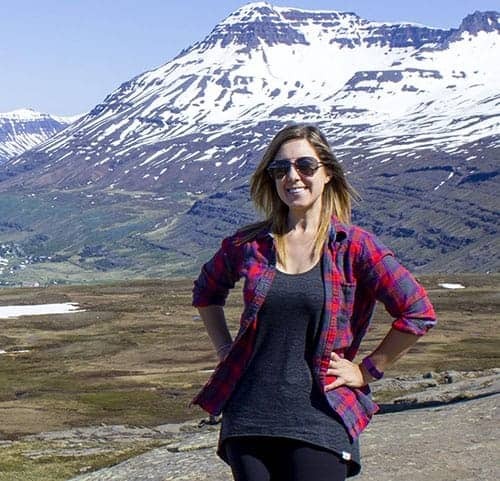 Iceland is so gorgeous that we couldn’t help but stop every five seconds to take another photograph. 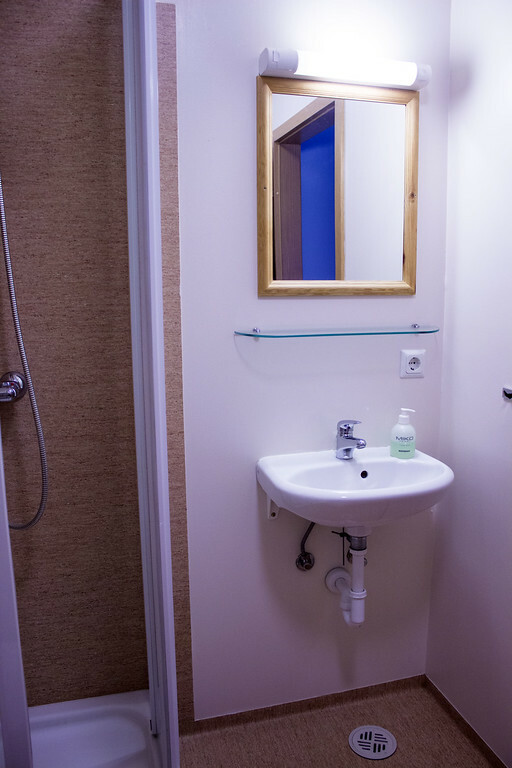 Fortunately, the owner of Fljotsdalsgrund Guesthouse was extremely accommodating and didn’t mind that we showed up a little later than expected. 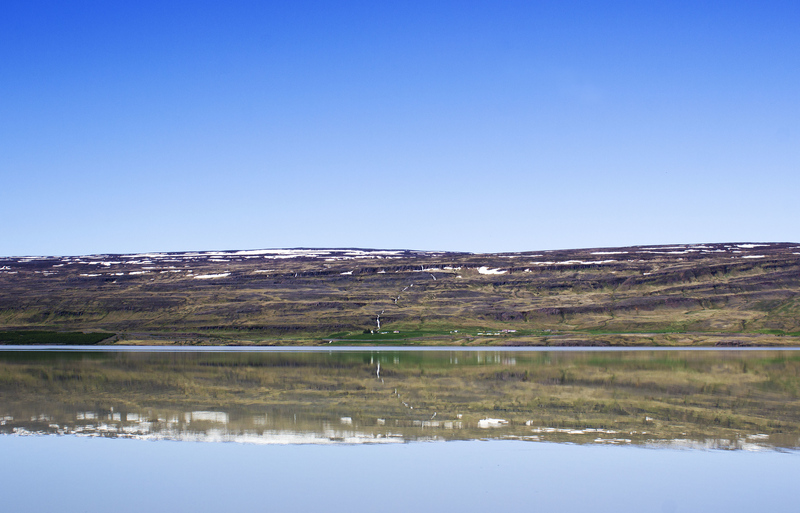 As we neared the guesthouse, we were dazzled by views of a calm lake and the numerous evergreen trees of the Hallormstadur Forest. One of the owners, Helga, warmly greeted us at the main office. She gave us a small tour of the Fljotsdalsgrund Guesthouse, which she co-owns with a fellow farmer. 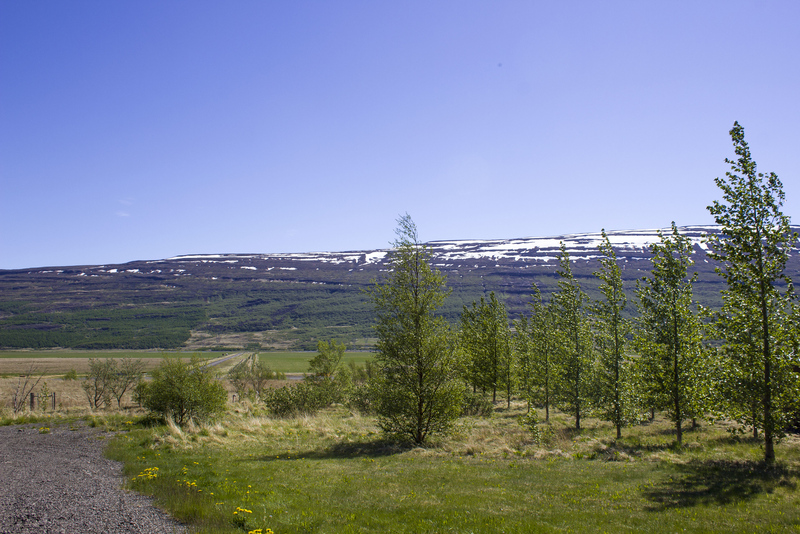 Helga’s property is merely one farm away from the accommodation. She was very hospitable and offered to make us breakfast in the morning. 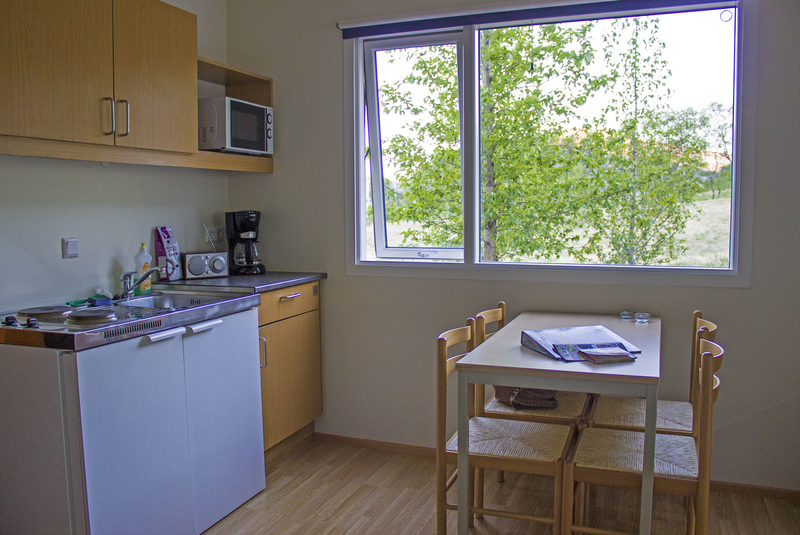 We had purchased groceries already, and our room was outfitted with a full kitchen. 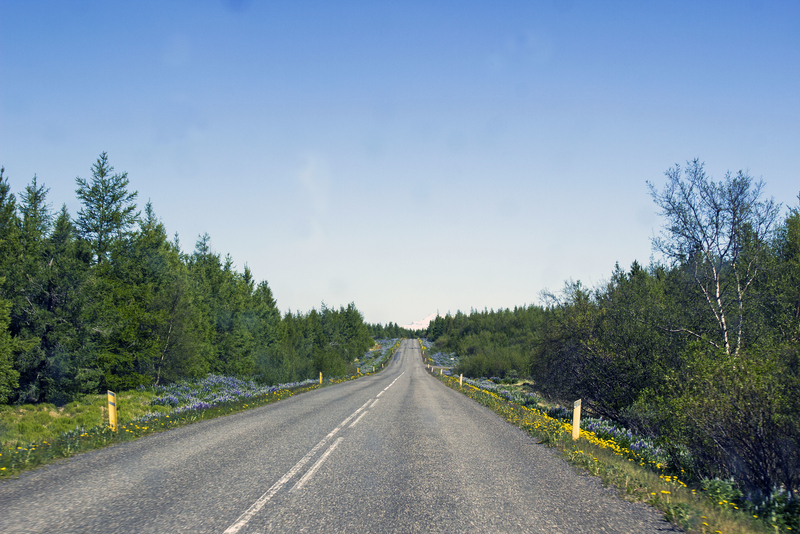 Though we passed, I’m sure many hungry travelers would love a home-cooked meal. To our amazement, we were the only guests booked at Fljotsdalsgrund that evening. There were several rooms down two hallways. There was also one gigantic main room with couches and a dining space. For that night, we had the entire place to ourselves. I hope you enjoyed my Björk reference there. It really was! Staying on a farm, far outside of any towns, meant that it was very peaceful and silent. There were two people camping across the property (camping is also available here), but that was about it. We enjoyed the quiet. Fljotsdalsgrund Guesthouse has complimentary Wi-Fi, but our room was very far from the main router. We were at the very far end of the hallway. It wasn’t a problem – we used the Internet in the huge common room, which we had all to ourselves. We relaxed on the couches and used the high speed Internet. 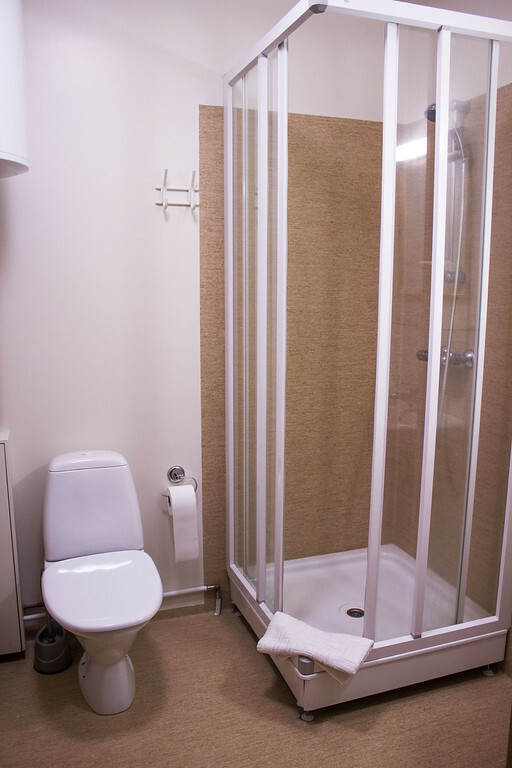 Our room had everything we needed: a private bathroom, a full kitchenette, a large bed, a couch, and free parking. We cooked our dinner here and relaxed for the rest of the evening very comfortably. 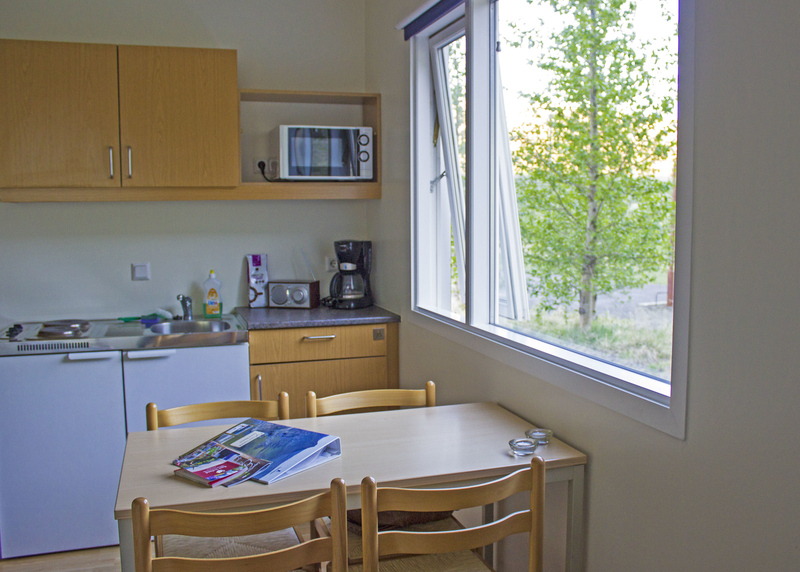 The kitchenette had a fridge, a stove top, a coffee maker, a microwave, dishes, cutlery, pots and pans. 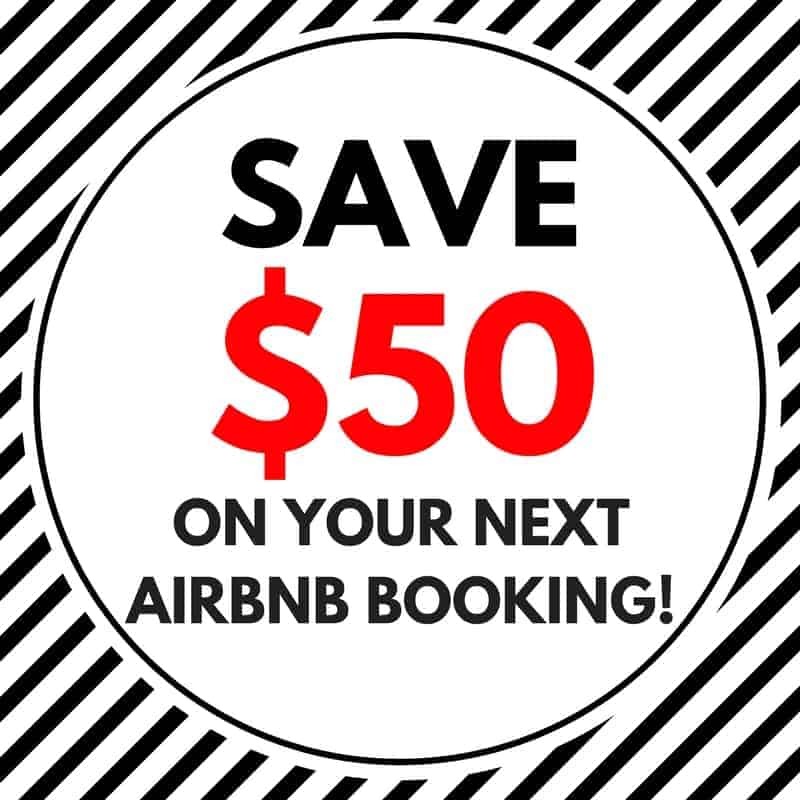 Check in starts at 3:00pm, and check out isn’t until 1:00pm. Staying up super late and sleeping in is an option here (one that we took advantage of). 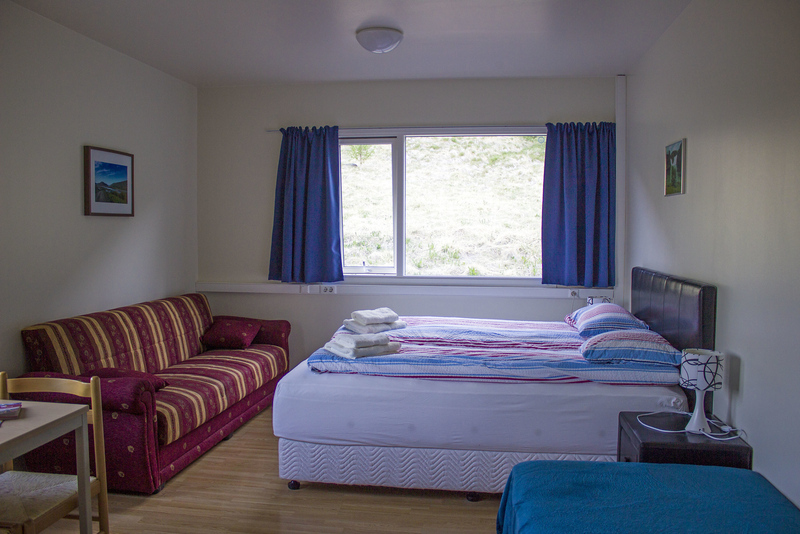 Here’s a photo tour of our guestroom. 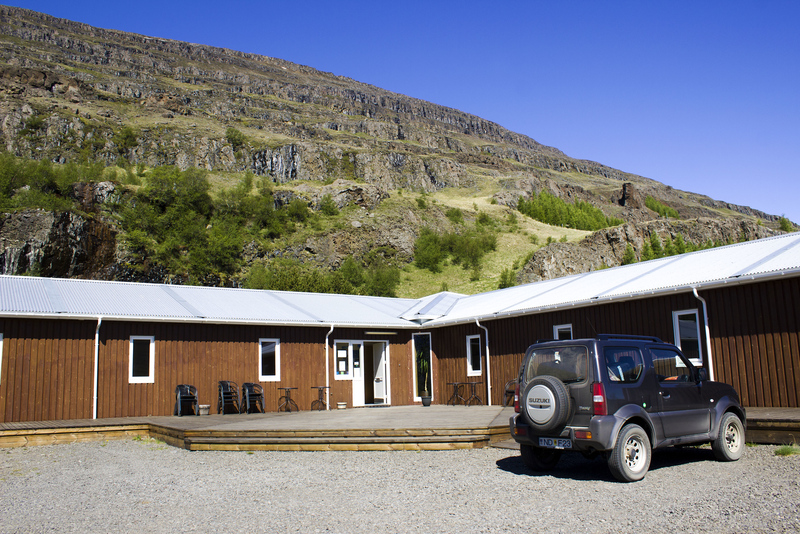 If you’re looking for where to stay in East Iceland, we highly recommend Fljotsdalsgrund Guesthouse. 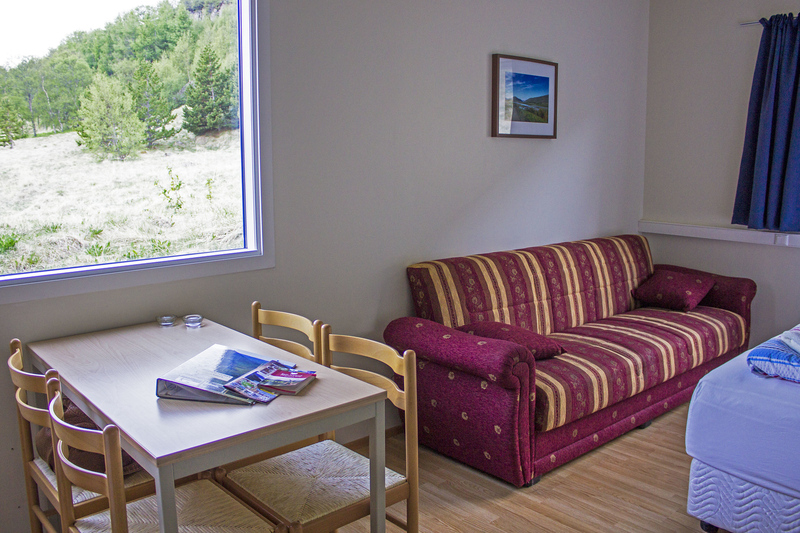 It combines the comforts of home with the peacefulness of a farm stay. Helga was friendly and accommodating, and checking out was a breeze (we left the key through the mail slot in the door). 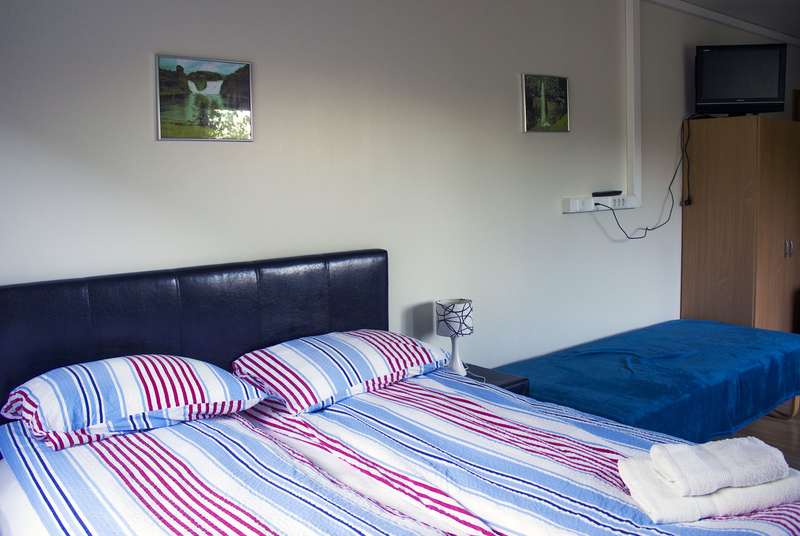 We didn’t have time to visit the Hengifoss Waterfall, but it’s very close to this apartment. If you drive about 5km down the road, you’ll see an access point to a short trail that leads to the waterfall. I’d love to return and check it out someday. 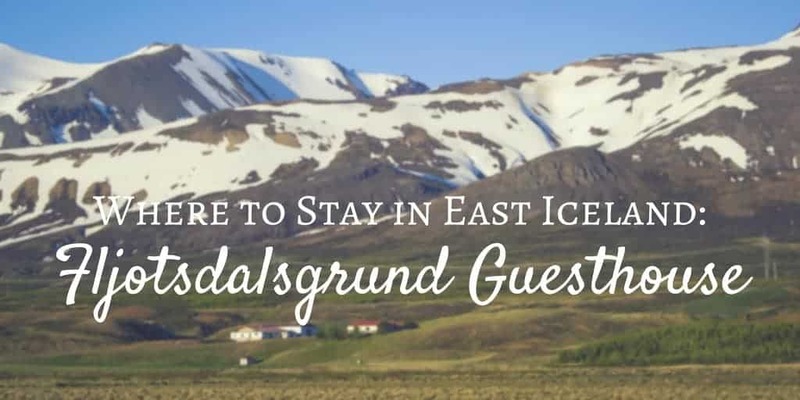 Be sure to book the Fljotsdalsgrund Guesthouse when you stay in East Iceland! 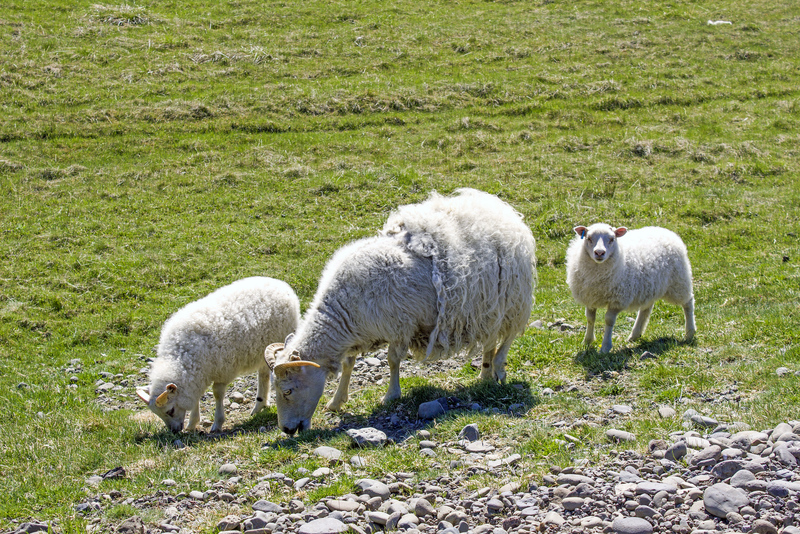 Oh, and did I mention that there are sheep nearby? 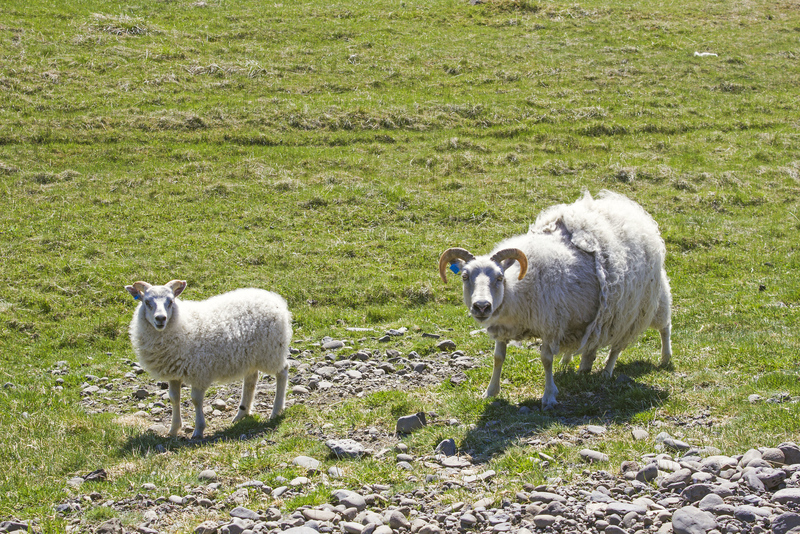 Well, there are sheep all over Iceland. And I couldn’t stop smiling. 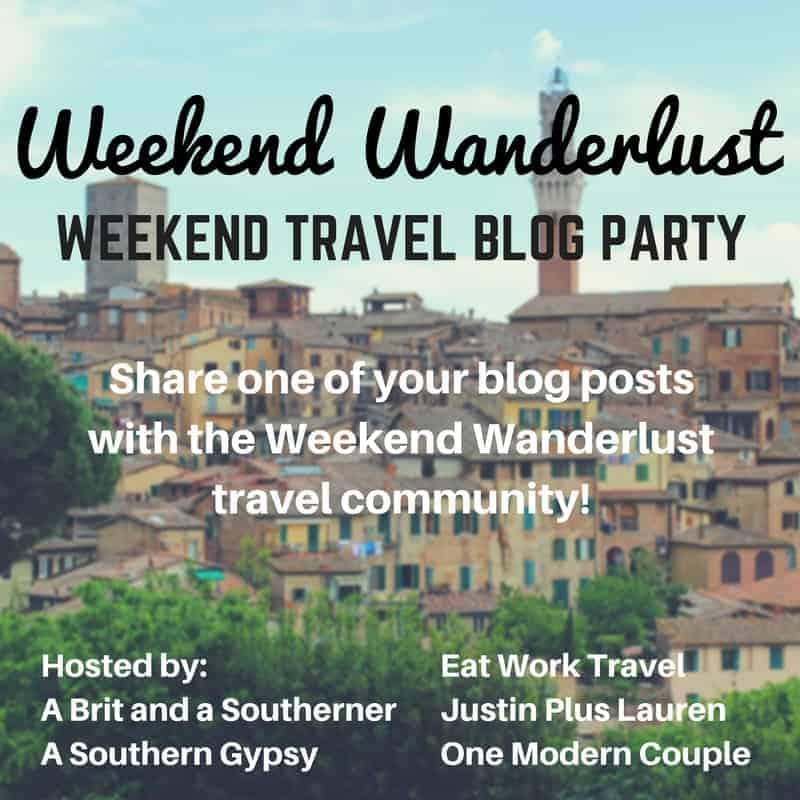 This post is part of the Weekend Wanderlust Weekend Travel Blog Party! Join the blog party all weekend long at our Facebook travel community! Ok this is he second week in a row I am struggling to find the link up! :( could you please send me the link? The half sheared sheep looks so funny! Looks like a gorgeous place to stay. 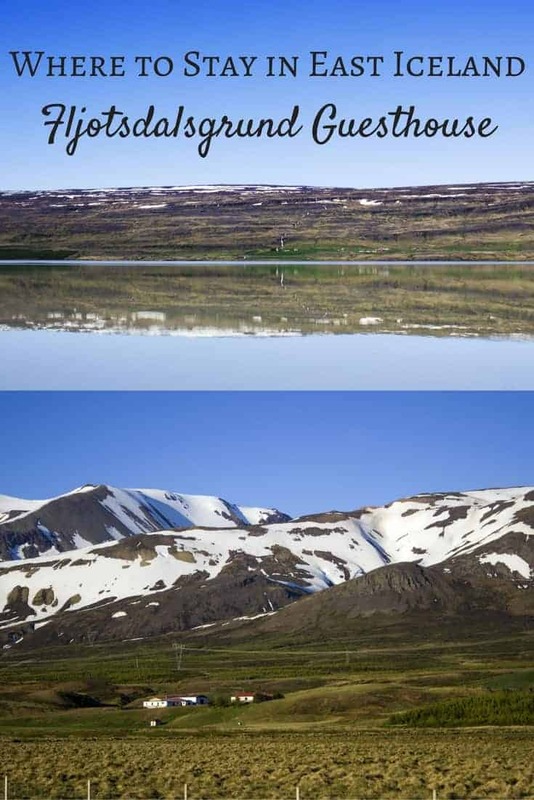 How long were you in Iceland? Quaint, quirky and located in one of our favorite countries in the world! Sounds like a perfect spot that we need to visit. 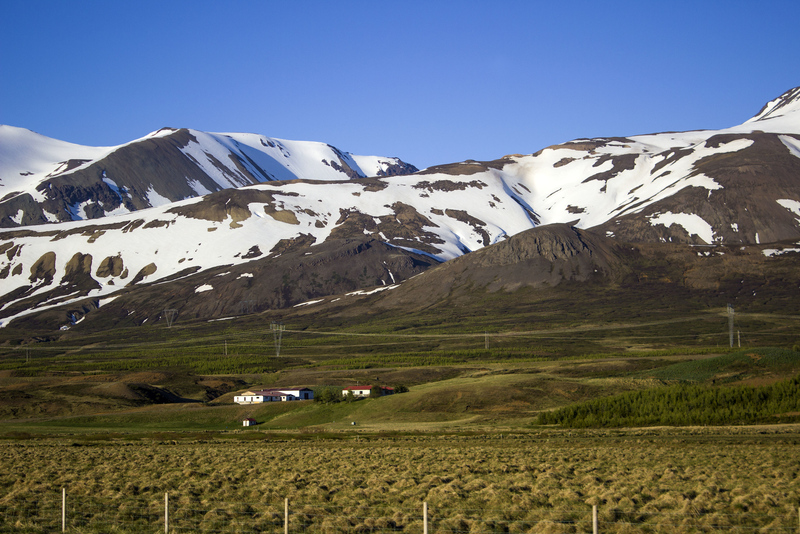 There is so much more to explore in Iceland and we can’t wait to go back. The scenery is breathtaking and although this guesthouse looks basic in terms of amenities etc. it’s the perfect place to stay to explore this part of the island. Thanks so much for introducing us to this!